The recent Suicide Squad footage gave us a glimpse of Batman’s cameo in the film—but there’s even more to it than we realized. A new interview with Batman v Superman director Zack Snyder and his collaborators has revealed a lot more about how these films will connect up. Snyder and company spoke to Empire Magazine (which is where you get the photo above, these, and some new ones below) about the entirety of the DC movie universe, how the films link up, how they’re being constructed, and specifics about multiple story points in Batman v Superman. Here are the highlights. The Batman v Superman trailer already reveals that Robin has died, but this interview strongly suggests Commissioner James Gordon will also already be dead. This would confirm a rumor that surfaced several months back. Clark Kent and Lois Lane are now “shacking up” together in Metropolis. 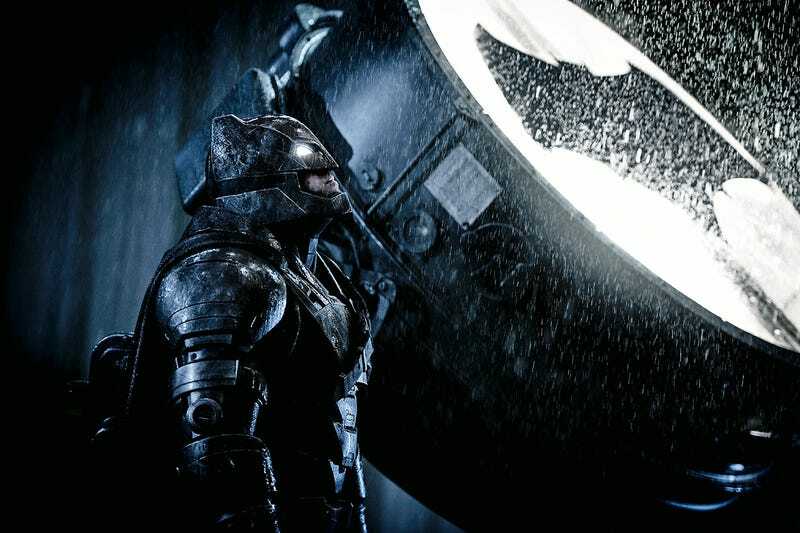 Aquaman has an “elusive cameo” in Batman v Superman. “You will understand he exists,” Snyder said.